Journey To Freedom Video ON SALE NOW! To purchase your DVD of “Journey To Freedom” use the form below to place your order and pay immediately with your Debit or Credit card and we will immediately ship your DVD to you. We use PayPal as a safe and secure payment transaction and do NOT see or store any of your Debit or Credit card information. You do NOT need to have a PayPal account to complete your purchase. We will not share your information with anyone or send you any emails not pertaining to your purchase. Fanfare! Lutheran Music Academy is a 501c3 nonprofit organization that provides high-quality, low-cost music and art classes to Galveston area youth, and provide a loving, God-honoring environment that nurtures children in their development. 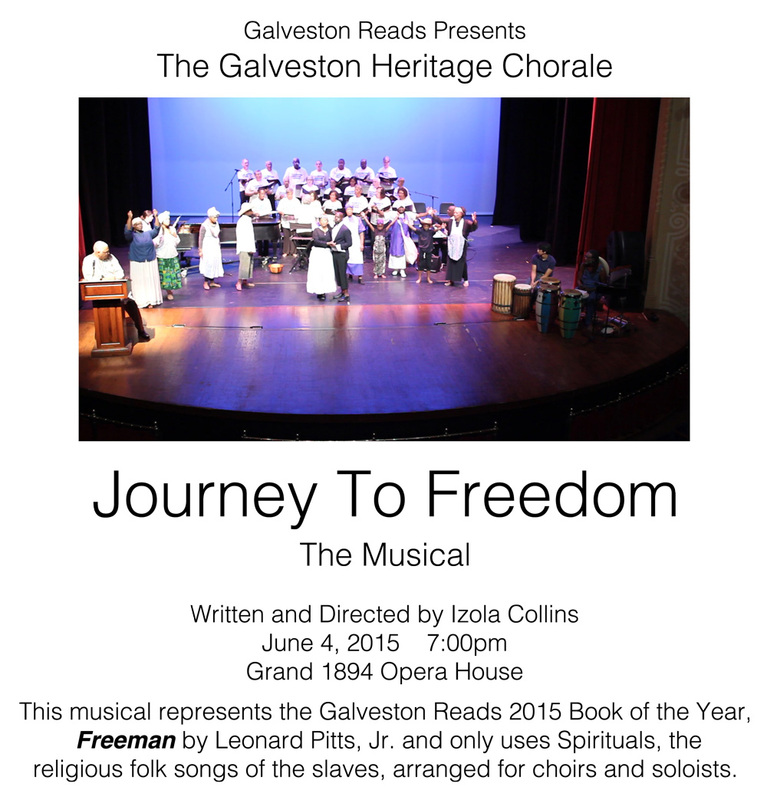 Written and Directed by Izola Collins, this musical represents the 2015 Book of the Year "Freeman" by Leonard Pitts, Jr. and uses Spirituals (religious songs of the slaves) sung by the Galveston Heritage Chorale and special guest soloists, and pantomime actors with narration help tell the story of the songs. 1 hour in length on DVD. 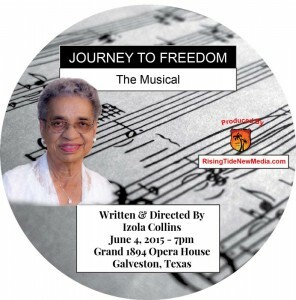 Written and Directed by Izola Collins, this musical represents the 2015 Book of the Year "Freeman" by Leonard Pitts, Jr. and uses Spirituals (religious songs of the slaves) sung by the Galveston Heritage Chorale and special guest soloists. We are so happy in Galveston, Texas to celebrate 150 years of our nation not legally allowing any more humans to be in physical slavery. That the ending of this practice happened right here in Galveston gives us reason to rejoice and thank God. That’s where we come in – showing how the slaves “sang a new song” as the Bible relates. They sang the first “new songs” on American soil. Others came from other countries with songs from their lands. The slaves sang Spirit songs – now called Spirituals. They were the “folk’s music” not written by any one or two people. These years, we have arranged the spirituals for soloists and choirs. we show what they mean to us, and why we should never forget them.